The unique blend of different widths and lengths of synthetic fiber in Da Vinci Nova Synthetic Brushes enhances their color-carrying capacity. Each brush provides clean, even brushstrokes when used with oils, acrylics, watercolors, for mixed media, and for face and body painting. Sold in more than 90 countries, Nova Synthetics are the world’s top-selling brush for body painting. With fibers that are specially tapered to mimic the qualities of synthetic rather than natural hair, Nova Synthetics are extremely responsive for brushes in this price range. They provide unexpected elasticity and shape retention even after heavy use. Use these brushes for creating special effects, fantasy effects, and theatrical details on faces and bodies. Plus, they’re easy to clean. 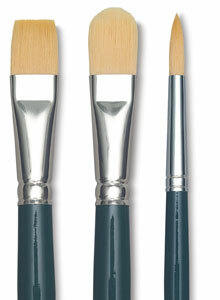 Da Vinci Nova Synthetic Brushes are available in a wide range of shapes and sizes with both short and long handles. All feature nickel-plated, seamless, rust-resistant brass ferrules, fitted to wood handles sustainably harvested from European forests. We recommend maintaining separate sets of brushes for body application and for facial use. 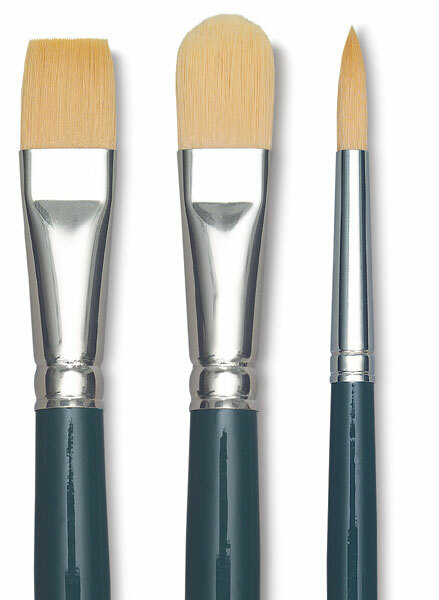 Nova, Set of 10 — Da Vinci Nova Series 1670 and 1870 brushes feature extra-fine synthetic fibers that are especially suited for painting with liquid colors. The set contains 10 brushes, including Series 1670 Rounds in size 1, 2, and 6, and Series 1870 Brights in size 2, 4, 6, 8, 10, 12, and 16.